Manufacturer members are those who produce frozen and/or refrigerated food products. 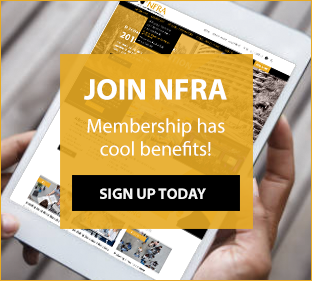 New Product Announcements – ability to feature your newest frozen and refrigerated products in NFRA’s New Product Newsletter. This newsletter is distributed to all retailers in NFRA’s database and is also shared across NFRA social platforms. Manufacturer dues are based on annual frozen and refrigerated dairy food sales volume per the dues schedule below. Such sales volume shall include all subsidiaries and divisions. The subsidiaries and divisions shall additionally receive full membership status.